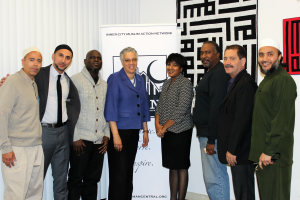 Along with Cook County Commissioner Jesus ‘Chuy’ García, County Board President Toni Preckwinkle made her first ever visit to IMAN on Thursday, October 15th. Preckwinkle and her staff were engaged by our leaders on IMAN’s commitment to improved public safety in the Chicago Lawn community, and pushed to increase her office’s support for that effort. 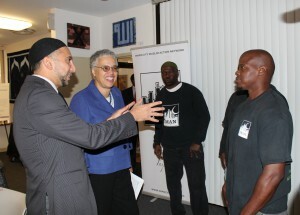 After touring the IMAN Health Clinic and Youth & Arts Wellness Center, Preckwinkle met with the current Green ReEntry cohort. That same morning, the brothers were working through the final stages at the latest renovation project on South Washtenaw Avenue, and detailed for Preckwinkle the ways that their work and presence helps stabilize this community. García, Preckwinkle, and IMAN staff and leaders then sat down over a light breakfast to further discuss the measurable local impact of IMAN’s work, pathways to program expansion, and the necessity of increased support for initiatives like Green ReEntry by Cook County leadership. Nasir Blackwell, a sharp legal mind and the new manager of the original Green ReEntry home on Washtenaw, introduced the plans for the IMAN Legal Clinic effort he will lead in 2016. Blackwell spoke passionately about the barriers that incarcerated individuals face both inside and when released, citing the need for legislation that is more conducive to helping the formerly imprisoned reintegrate smoothly into their communities. Talks wrapped up with references to the new Level 1 Trauma Center scheduled for construction at nearby Holy Cross Hospital. While the clear need for high-quality healthcare facilities on the South and Southwest Sides was acknowledged, many variables remain unknown. IMAN thanks the offices of County Board President Preckwinkle and County Commissioner García for their visit. 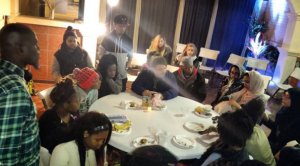 Effective, grassroots organizing work is essential in the struggle to support dignified communities in urban centers nationwide, starting first with Chicago. Towards that end, IMAN organizers and leaders have spent seven years developing and refining an introductory organizing training model, rooted in core community organizing concepts, which incorporates a unique framework that speaks to the cultural, spiritual and racial diversity of IMAN’s growing nationwide base. 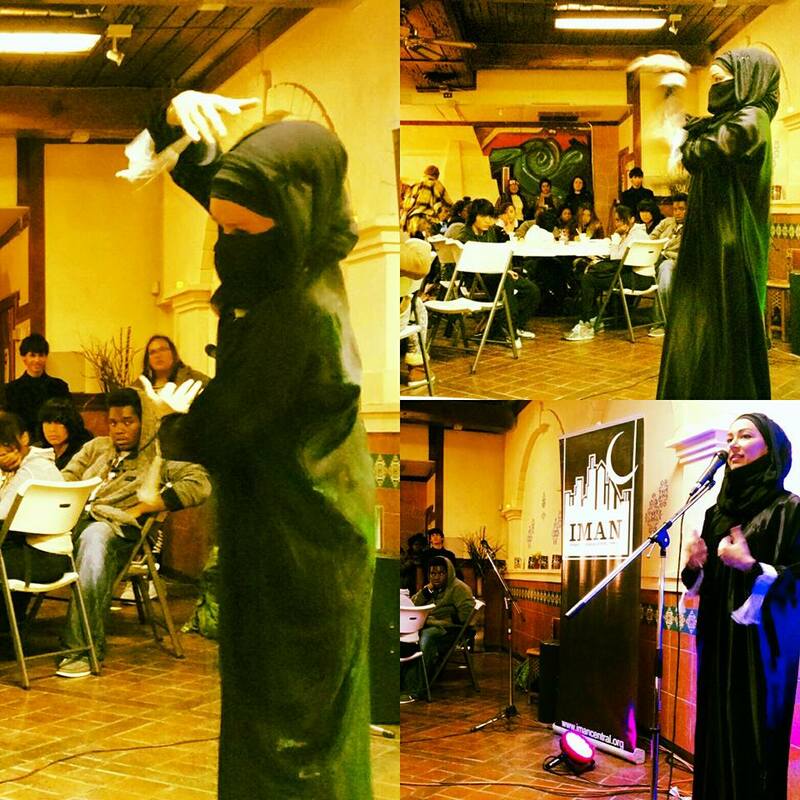 As the year began, IMAN set an ambitious goal of training 120 leaders on the foundational concepts of community organizing. We are honored and grateful for having surpassed that goal, training 150 leaders in two-day sessions held in multiple cities from the Deep South to the West Coast. 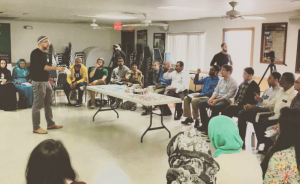 More than ever before, successfully teaching IMAN’s organizing model across the country has strengthened our bonds with allied urban communities who deeply connect to our work in Chicago. This month, we had the opportunity to train an extraordinary, diverse group of over 50 students and activists in Los Angeles. IMAN partnered with Bayan Claremont College for a weeklong organizing intensive where participants learned best practices when engaging their respective communities, the importance of understanding self-interest, and the necessity of lifting up our voices. 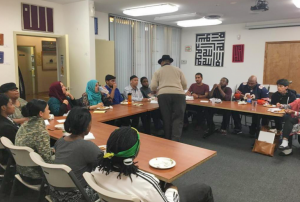 Back at headquarters, over 20 experienced IMAN leaders completed our ‘Organizing Training 2.0’, facilitated by legendary organizer Don Washington. The session gave leaders the chance to dissect and analyze power and test their mettle in a robust campaign strategy activity. With even bigger goals in sight for 2016, IMAN will continue to equip its leaders with the necessary tools.